Event chair Chris Culbertson, president of EMPAD Architecture and Design, led the organization of the event. H. Dean Rowe, FAIA Award for Design Excellence: ­­Kimley-Horn and Associates, Inc. for The Riverwalk at Kennedy Boulevard Plaza. The Florida Center at the University of South Florida, School of Architecture and Community Design for Canal Works. Halflants + Pichette for Phillipi Creek Residence. Bob Borson, AIA, principal of Michael Malone Architects, Inc.
Joe Tattoni, FAIA, Design Principal, of ikon.5 architects located in Princeton, New Jersey. Taryn Sabia and The Florida Center at USF School of Architecture and Community Design for Revitalizing Oldsmar. 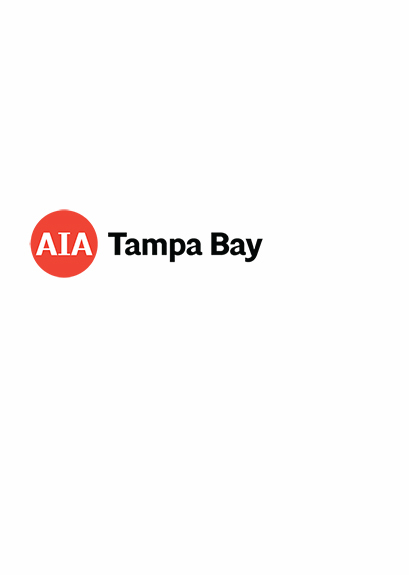 Click here to see all photos from our Celebrate Design Awards Reception on November 3rd at the Italian Club in Ybor City. Photos by RVD Photography.